Syllabus of the Online Course (Subject): Information and communications technology (ICT) for Regional Trade and Integration in Africa. 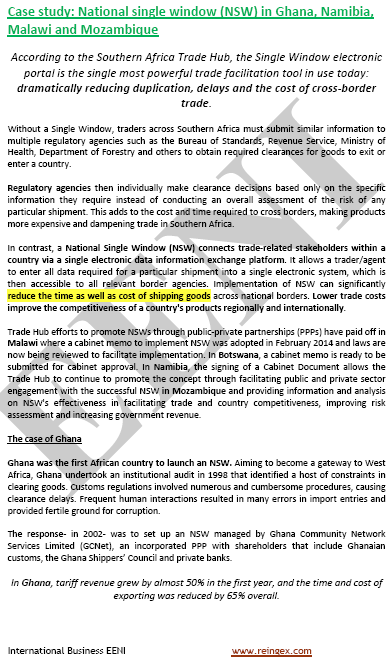 Description of the Online Course - Africa: ICT - Regional Trade and Integration. In Nigeria; we can observe an e-commerce boom. 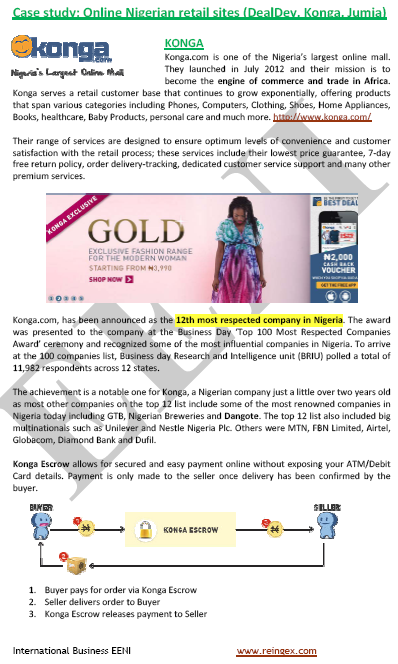 Several Online Nigerian retail sites (DealDey, Konga, Jumia) are leading e-commerce initiatives in West Africa.